Products include Fairtrade and organic teas and coffees. Acquired by Dutch organic food company Royal Wessanen in 2012. Founded in 1765. One of Europe's largest organic food companies. Acquired in 2019 by a consortium consisting of private equity firm PAI Partners and Charles Jobson, Wessanen's largest shareholder. PAI is a major European private equity firm and is the largest private equity investor headquartered in France. PAI invests in five core sectors: business services, food & consumer goods, general industrials, healthcare and retail & distribution. 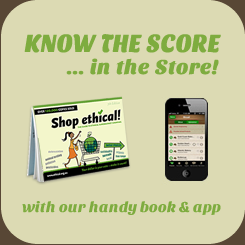 This company sells Fairtrade Certified products. Company retails manufactures or distributes products that are certified organic. This company has a number of corporate responsibility claims on its website. "PAI decided to strengthen its formal commitment and PAI's Environmental, Social and Governance ("ESG") strategy has now acquired a central importance in the firm's activities." PAI Human Capital is PAI's own charity, set-up at the beginning of 2012 and is supported by the Partners of the firm. In 2012, the PAI Foundation supported seven associations across France, Germany, Italy and Spain, with a specific focus on professional reintegration.